With Christmas 2018 just around the corner and creeping up on us quick, have you had a minute to even think about this year’s office Christmas party? If you’re taking some time to sit down and see what your options are, you’ve come to the right place. 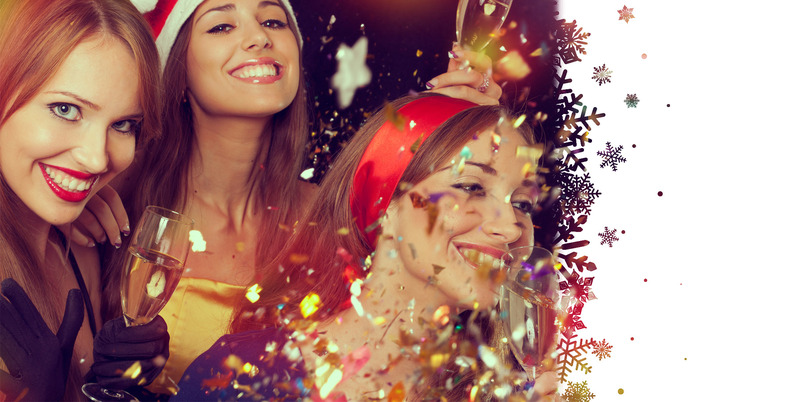 Through extensive research and a bundle of analytics, we’ve comprised the top Christmas parties and activities across the UK and we’re here to give you a quick rundown of them all, to see if any sound like the perfect fit for your team and their end of year celebrations. When it comes to work Christmas party ideas, the market can be quite saturated, especially in bigger cities like London and Manchester. The best way we find to narrow your search is through tried and tested team events, and that’s exactly what we’ve rounded up here. We’ll start things off with the most popular, top spot experience which has been a winner for a number of years – the cocktail making team building activity. Easy to slide into the team building agenda, fully organised and very fitting for the festive period, a cocktail making class will see your team learning the art of mixology, with a professional bartender to lead the activity within a central bar. Simply choose the city you’re celebrating the Christmas period in, and we’ll organise the rest. Learn how to mix and shake a variety of tasty concoctions, using fresh ingredients and drinking them all as you go. The best part about the ever-popular cocktail making is everyone can have a go and enjoy themselves! Instead of staying indoors, wrap yourselves up warm and enjoy the uniquesmartphone Christmas treasure hunt team buildingexperience around your chosen city. This activity is literally made for the Christmas holidays, hence the name. You and your big team will split into smaller teams for this team workshop and go head to head in a variety of general knowledge trivia, festive themed questions and hilarious challenges around the city. This particular team event is based on our popular pub treasure hunt, as you will have the chance to rest your feet and warm your stomachs with a few drinks stops as you’re exploring and competing. All done on an easy breezy GPS app, it’s a great option for something quick and effective. If your team aren’t big drinkers or you just want to warm everyone’s bellies with some good food, our pizza making team building experience might be just the thing to end the year. Fairly self-explanatory, this team event will give everyone the opportunity to make their own pizzas from scratch in a city centre restaurant, using an array of delicious ingredients to do so. Led by a professional pizzaiolo (pizza chef), you can look forward to picking up a few tips and tricks for creating the beloved meal, and then enjoy your own creations in a sit-down meal with your team.